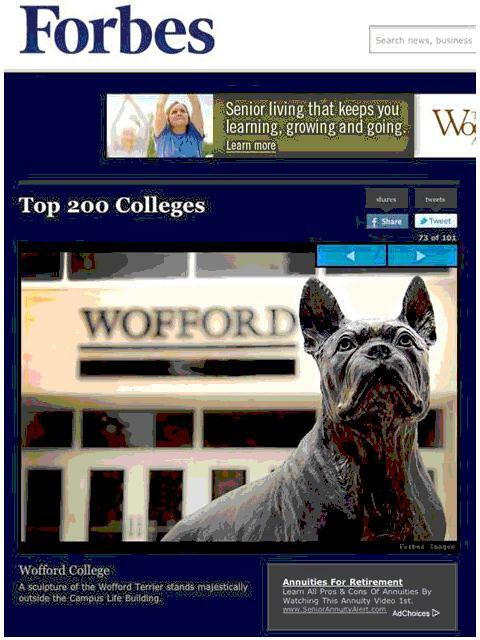 "The Wofford Terrier" was commissioned by Wofford University in Spartanburg, SC. 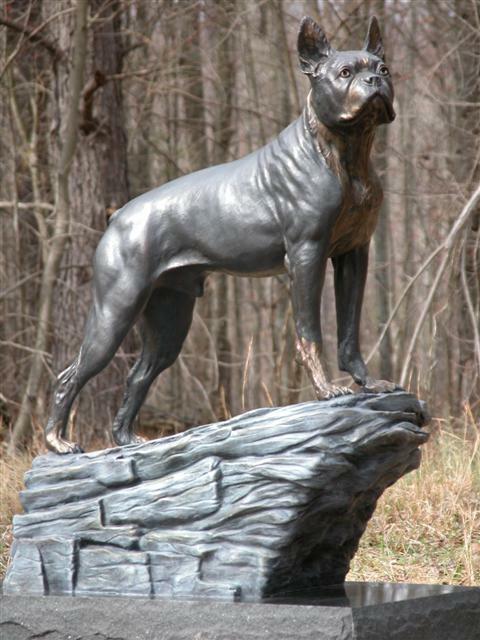 This is one stalwart little dog who's procured the perfect home. He gets petted by passing students and bowls of food occasionally appear at his feet. An anonymous kind soul even wrapped a beautiful hand knit scarf around his neck one cold winter's day. And he gets to participate in graduation ceremonies. Life is good.